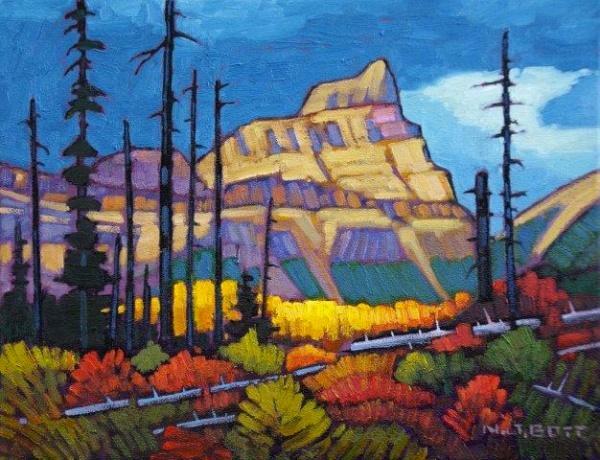 Over the last three decades, iconic Canadian artist, Nicholas Bott has garnered international recognition and a worldwide base of collectors with his use of a bold pallet and his expressive approach to capturing the beauty of BC. Bott started his career in Smithers painting northern BC landscapes. Now he is based near Vancouver and he has diversified his subject matter to the many remote regions he has explored. This new collection he shifts his focus to BC’s rugged coastal region as well as British Colombia's interior mountains.